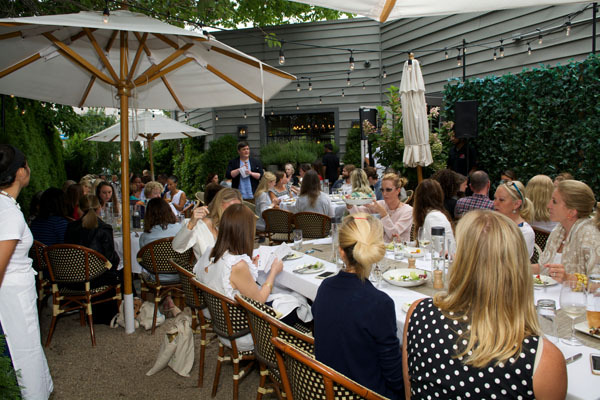 On Monday, August 7th, Voss Foundation held its third annual Women Helping Women Hamptons Luncheon at Gabby Karan De Felice’s restaurantTutto il Giorno for over 90 guests. 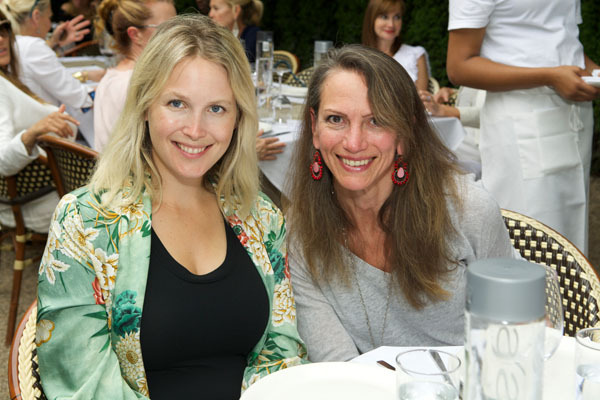 Notable attendees included Gabby Karan De Felice, Cristina Cuomo, Paola Bacchini Rosenshein, Yana Balan, Diana Buxton, Lydia Carlston, Sophie Elgort, Pamela Fiori, Lindy Gad, Kara Gerson, Andrea Greeven Douzet, Melinda Hackett, Nina Griscom, Lucia Hwong Gordon, Jane Karsh, Sandy Leong, Dorothy Lichenstein, Jen Marden, Jessica Mezzacappa, Marisa Rose van Bokhorst, Kelli Shaughnessy and Deborah Srb. 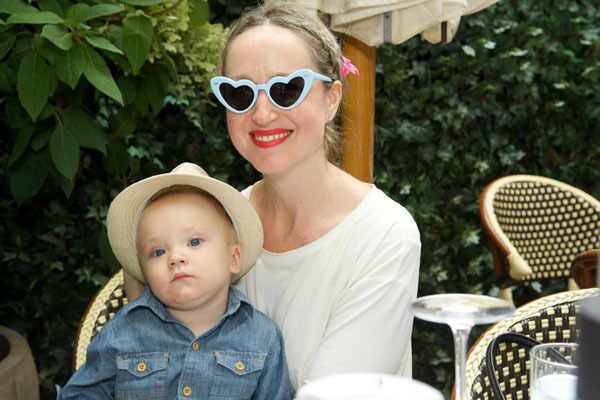 Throughout the luncheon, guests shopped Voss Foundation’s celebrated bazaar that includes handmade candles, objets d’art, scarves, homeware and toys purchased directly from communities where the organization works. 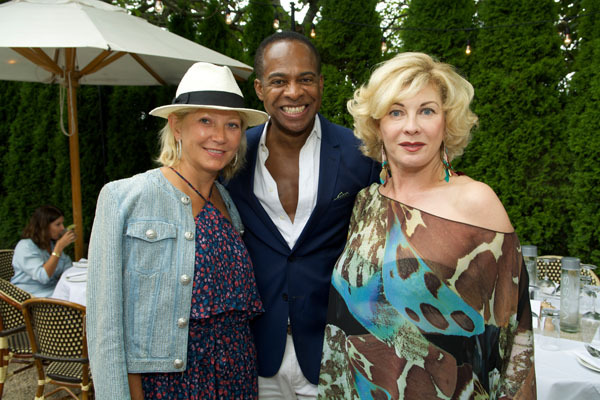 Veteran fashion entrepreneur, Frederick Anderson, served as master of ceremonies. He praised Voss Foundation for their unwavering dedication to approaching the African culture with pride and truly listening to the needs of African people. Anderson then introduced Mariama Camara, the 1sthonoree of the event and praised her extensive efforts to give back to the women of her birthplace through employment in her company, Mariam Fashion Company and speaking out of behalf of the underserved at the United Nations. Camara graciously accepted the honor and recalled starting co-founding The Is No Limit Foundation with her sister with only $18. Experiencing the generosity of people to willingly share what little they have has made her determined to help women gain access to clean water and a healthier life. The 2nd honoree of the day, Krista Krieger, co-founder of Empowers Africa, has long been involved with Africa with grants having been given to over 35 organizations to aid in areas of healthcare, education, small business development, wildlife protection and land conservation. Krieger has traveled throughout Africa extensively and was honored by Applause Africa with its African Diaspora Award.